Many, many years ago, way back in what my children call The Olden Days (2012), I decided to jump on the blog-wagon and self-indulgently write about myself. Why did I call it ‘Desertmum’? Being totally honest, if I thought the blog would last as long as it has done, I might have spent more time coming up with a better, catchy title. Maybe a pun. But I’m no good at that, even at the peak of my mental capacities, and 2012 was not really my brain’s finest year – proccupied, as it was back then, with a baby and a two year old. 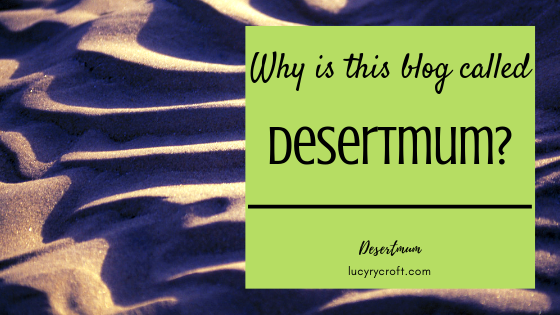 So I landed with ‘Desertmum’ and this is why: I’d heard several people refer to the early years of parenthood as being a ‘spiritual desert’. When you have kids, church services go from being a fairly sedentary time with God (and, occasionally, the odd nap) to a full physical workout, where you chase your offspring as they run laps round the building. Uninterrupted ‘me’ time becomes about as likely as Bear Grylls taking the lead in The Nutcracker, making any sort of prayer or Bible study near impossible. 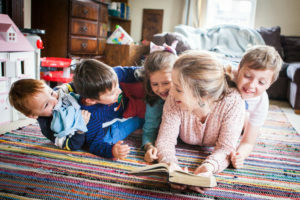 It can be tough to keep learning, keep growing, keep drawing closer to God through the haze of nappies, tantrums and vomit – but this blog was always, and still is, my motivation to keep trying to grab those moments when I can think clearly, or where I see a new truth about God revealed through the wonder of being with my kids. Rather than see our faith as a small seed in a glass jar, merely being protected while we just survive the early years of parenthood, why don’t we set that seed outside, where it can grow and be nurtured – yes, even in this sleep-deprived season? Do you believe that if you pursue God through the haze of early parenthood, He really will show up? I do. Not because I’m anything special, but precisely because I.Am.Not. Most of the time my life resembles Mr Messy – if you can imagine Mr Messy as a lifestyle and not a 2D image. Yet God does His stuff. By His grace, I am learning and growing and drawing closer to Him. You can too. Those of you who aren’t parents, or aren’t Christians, may find nothing of interest in what I write. But I want you to know you are very welcome, none the less. There’s space at the table, there really is. Just don’t ask about the dessert. Lucy! We just became parents 9 months ago and your words around the challenges of staying spiritually connected and engages rings true! So glad that you have this blog! Send my greetings to Desert Dad and do let us know the next time you are in NYC!